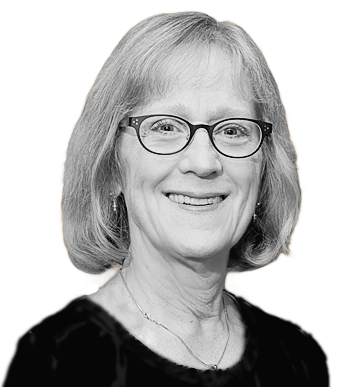 Ann is a highly experienced employment counselor and trial attorney, with over 30 years of practice. She guides clients on compliance with local, state, and federal employment law, wage and hour laws, and regulations. She is a state-approved provider of sexual harassment training and lecturer on workplace diversity & bias. Her areas of expertise include: negotiations, employment law, commercial contracts, handbook revision, non-disclosure agreements, IP licensing agreements, training, talent and performance management, workforce planning, social media, benefits & compensation, and policy development. She has also obtained defense verdicts and dismissals for her clients in employment and trade secrets matters. Over the years, Ann has served the community through work with the San Mateo County Lawyer Referral Service assisting individuals and small businesses with employment and simple corporate work. In her spare time, Ann is an avid reader of murder mysteries, and enjoys movies, live theater, and concerts of all types. Lecturer, “The Ten Things Your Company Should Know About Employment Law” and “Exempt or Non Exempt Status- Why it Matters to you Under California Law”. AB1825 Lecturer on Sexual Harassment Prevention. Documenting Poor Employee Performance after Reid v. Google, Society for Human Resource Management, Aug. 18, 2010. Budget Crisis Hits California Wage Claims Process, July 14, 2010, Los Angeles Daily Journal. Employment Case Update: Good Faith Mistakenly Claimed Overtime Wages & Deductions to Vacation & Sick Time, Mar. 22, 2010. Voluntary Incentive Compensation Plans, Employment Arbitration Agreements, and Wage & Hour Cases, Jan. 11, 2010.